Although the Yellow Kid is no longer celebrated as the first pace-setting and medium-defining character in the history of American newspaper comics, the circumstances under which the ochre urchin appeared shaped and directed the history of the medium for generations. Richard Outlcault may not have invented the newspaper comic strip, but he created a character that established comics in newspapers by demonstrating convincingly the commercial appeal of comics, both for selling newspapers and for merchandising, thereby paving the way for the artform’s future development. Poetically enough for a man who would eventually make history by appealing to the taste of great masses of people, Richard Felton Outcault was born in the heartland of the country, the great midwest—Lancaster, Ohio to be exact—on January 14, 1863 to well-to-do parents, Jesse P. Outcalt (as the name was spelled until Richard changed it) and Catherine Davis. To nurture an artistic bent, Richard attended the school of design at McMicken College in Cincinnati, 1878-81. After graduating at the age of 18, Richard earned a modest income painting pastoral scenes on the doors of office safes. Upon returning to the United States, Outcault continued working for Edison and made frequent trips to Lancaster, where he courted the granddaughter of a leading banker, Mary Jane Martin. They had a Christmas wedding, marrying on December 25, 1890, and they moved to New York and settled in Flushing, Queens. We don’t know when Outcault quit Edison—perhaps his function disappeared when (or if) the traveling exhibit no longer traveled; whatever the cause, he pursued a career as a draftsman by taking work making technical drawings for Electrical World and Street Railway Journal. A colleague at Edison knew the Electrical World editor and introduced Outcault to him. In his spare time, Outcault also began to indulge a penchant for comedy, submitting comic pictures to the weekly humor magazines Puck, Judge, Life and the somewhat more risque Truth. After a couple years at these endeavors, Outcault’s career took an unanticipated turn: he became a full-time cartoonist, thanks to Morrill Goddard and Roy L. McCardell. Goddard, the Sunday editor of the New York World, was looking for a comic artist to provide the content of the paper’s newest venture, a weekly full-color comic magazine supplement for the paper’s Sunday edition. Morrill Goddard is not a name we readily associate with the comics. In fact, it is a name that crops up only occasionally in histories of American newspapers and in biographies of some of the press barons who built their fiefdoms on the work of journalists like Goddard. And wherever his name appears, it never gets more than a paragraph. Sometimes, only a sentence. Goddard is nearly unknown because the man had a passion for anonymity. All that we know about him is divulged herewith—in connection with what we have been calling “comics” for generations. But the “comics” are not necessarily comical, the obvious meaning of the word to the contrary notwithstanding. Bugs Bunny, Batman, Dagwood, Mary Worth. Whether in pulpy pamphlets or newspapers, comics are sometimes funny and sometimes quite serious. So why call them “comics”? The reasons for the anomaly are evident in the history of the medium, a history over which Goddard hovers consequentially albeit largely unacknowledged. Newspapers had published cartoons before 1893, but it was in the spring of that year that the New York World started publishing cartoons in color in a Sunday supplement that became embroiled in a circulation war, which, taking place in the nation’s largest city where the media set a pace for the rest of the country, had ramifications beyond the city limits. The World had been publishing a comics section since 1889, but the cartoons were in staid black-and-white. In Chicago, the Inter Ocean newspaper had launched its Illustrated Supplement on June 23, 1892—an 8-page tabloid with full-color cover and back page. Initially, it boasted illustrations but no comics. Late that summer, Charles Saalburg produced a single-panel cartoon entitled The Ting Lings; it ran for about three months. “The Inter Ocean Illustrated Supplement was,” saith Richard Samuel West in Society is Nix, an anthology of Sunday funnies 1895-1915, “the first color newspaper supplement issued in America.” And when the World’s founding publisher Joseph Pulitzer saw it, he arranged to purchase the same kind of press the Inter Ocean used. And by the spring of 1893, the World was ready to produce its Sunday supplement in color. His product for most of his long life was the newspaper Sunday supplement that he edited at William Randolph Hearst’s Journal/American. “It was,” Merritt asserts, “the main and almost the only interest in his life.” But Goddard had a life before Hearst. Hearst had found him at Pulitzer’s New York World, where, on May 21, 1893, Goddard had produced the first Sunday comics supplement in color. As city editor, Goddard had pioneered a lively carnival midway style of journalism, and for the proposed color Sunday supplement, he opted for something with greater mass appeal than female wardrobe. In achieving his goal, he unwittingly conspired in the coinage of a word that has ever since denominated newspaper comics—making no sense at all for most of the time. And it was Goddard’s “professional opinion,” McCardell avows, “that American humor, not fashion, ought to have a colored pictorial outlet.” To give the World class, we might say. Goddard’s plan for the World’s color Sunday supplement was to make it in the image of the weekly humor magazines of cartoons and humorous verse then enjoying enthusiastic readership in New York and around the country—Puck, Judge, and Life. Offering comical drawings and amusing short essays and droll verse, these magazines were dubbed “comic weeklies” in common parlance—or, even, “comics.” So when the World launched its imitation “comic weekly” as a supplement to its Sunday edition, it was lumped together in the popular mind as another of the “comics.” “Comics” denoted the vehicle not the artform. With the comic weeklies having prepared a readership, the World’s color comic supplement was popular at once. And then, with the World showing the way, papers in other cities began publishing humorous Sunday supplements full of funny drawings in color and risible essays and diverting verse. In a relatively short time, obeying the dictates of demand, newspapers eliminated the essays and doggerel and concentrated on comical artwork, which was increasingly presented in the form of “strips” of pictures portraying hilarities in narrative sequence. It was but a short step to the use of comics to designate the artform (cartoons and comic strips) as distinct from the vehicle in which they appeared (the Sunday supplement itself). Once that bridge was crossed, meaning deteriorated pretty rapidly. Storytelling (or “continuity”) strips arrived in the 1920s, and even when, in the 1930s, the stories they told were serious, they were called “comics” because they looked like the artform called comics and they appeared in newspapers with all the others of that ilk. Finally, when comic strips began to be reprinted in magazine form in the 1930s, the now-generic term was applied to those magazines, too; in the new format, comic books quickly emerged from comics (although the latter persisted as an alternative name for the former). And that’s how an incongruous name for the media of cartoon art came about. At first, Goddard was forced to reprint cartoons from the comic weeklies because many of the most desirable cartoonists were under contract with the magazines and obliged to give them first refusal rights. At the time, McCardell was on the staff of one of them, Puck, and Goddard, in quest of work that would be original with the World, approached him, asking if he knew any artists who could do comic work who were not contracted to any of the weeklies. McCardell directed Goddard to Outcault at the Electrical World, who, by reason of his freelance comic contributions to Truth, might be amendable to a more permanent position as staff cartoonist at the World rather than as a draftsman at the technical journals. Following McCardell’s advice, Goddard contacted Outcault. If he didn’t hire him immediately, he did soon after the first couple of Outcault efforts, which proved he could produce humorous art with the best of them. Outcault did his first original work for the World with a full-page, six-panel comic strip about “Uncle Eben’s Ignorance of the City,” published September 16, 1894. A month after this comic debut, Outcault produced another full-page comic strip. Published November 18, its title, had it been published a few weeks earlier, could have been prophetic. Tenements of the day were three- or four-story buildings with 4-6 apartments on each floor. The apartments each had two or three small rooms, one outfitted with kitchen facilities. Most had at least one window. Toilets were outhouses in the backyards of the buildings. Baths were taken in a tub in the kitchen. Because electricity didn’t invade the premises until well into the 20th century, illumination was achieved by candle. Except in the hallways and stairwells. Those were not lighted at all. And since the building’s only windows were in the apartments, the hallways were dark. Pitch black dark. It’s no wonder—with the crowded rooms and the darkness of the halls— kids played in the streets and alleyways. Residents of the tenement sections of town were mostly immigrants only lately arrived in the country. And because ethnic and racial minorities looked different, they seemed inherently “funny”: after all, they “looked funny.” And cartoonists, depending partially upon visual comedy, deployed stereotypical images for laughs. They also mined the uninformed and uneducated lives of the same immigrants for the same purpose. Cartoons about tenement kids—slum kids—were often to be found in the weekly humor magazines. Because his work was so popular, imitators sprang up immediately. Cartoons about slum kids proliferated, and by the time Outcault was in New York at the Electrical World, looking for subjects to cartoon for the comic weeklies, he found Woolf as a model. Several of his cartoons for Truth depicted tenement kids, and in one of them, published June 2, 1894, he drew a little bald kid, who showed up several times thereafter, always wearing a gown-like garment that was probably his nightshirt. By the fall of 1894, Outcault was cartooning for Goddard’s Sunday supplement, as we’ve seen. In early 1895 on January 13, Goddard printed one of Outcault’s baldheaded street urchin cartoons in black-and-white. On February 17, Goddard picked another of the Outcault bald kid cartoons, this time reprinting it from Truth’s black-and-white issue the preceding week, February 9. Then on May 5, Goddard used two Outcault slum kid cartoons—one in color. Outcault had evidently been thinking about his tenement locale, refining the notion. Taking inspiration from a popular song (“Down in Hogan’s Alley” was the opening line of “Maggie Murphy’s Home,” a musical number in Edward Harrigan’s play, “O’Reilly and the Four Hundred”), Outcault titled his May 5 color cartoon “At the Circus in Hogan’s Alley.” And soon thereafter, his weekly cartoon series, continuing in color, was called Hogan’s Alley, and in it, Outcault burlesqued city life by focusing on its cluttered and squalid slums, which he infested with a manic crowd of assorted raggedy urchins, juvenile toughs, and enough stray dogs and cats to start a pound. Every week, in the midst of these nondescript ragamuffins, one stood out: he had a head as round and naked as a billiard ball, surmounted on either side by giant ears, and his only raiment was a long, dirty nightshirt on which Outcault would later letter some impertinent comment about the mayhem at hand. The kid, whose name, it developed, was Mickey Dugan (which Outcault sometimes spelled “Micky”), started appearing more and more often in the Sunday supplement. He was in view twice more in May 1895; once in July and again in September; thrice in November and twice in December. In 1896, Hogan’s Alley and the bald kid were published two or three times a month until June, when they appeared every week—which they did the rest of the year until October, when Outcault jumped ship to Hearst’s Journal. It was the kid’s first appearance in 1896 that sealed his fate. For the first time, in that cartoon for January 5, his nightshirt was yellow. And it was yellow again thereafter. Coloring the shirt yellow as undoubtedly the most brilliant if unheralded strategic maneuver in New York newspapering in months. The nightshirt’s bright, golden, gleaming gorgeous yellow stood out in the drawing, which was otherwise colored in the somber hues of the tenement’s cluttered alleyways. The glaring color attracted readers’ eyes, drawing attention to the bald kid. He was, without question, the Yellow Kid, distinguished from the mob by the color of his garb. And that, in turn, made him the star of the show, the one kid who stood out and was therefore someone readers could look forward to seeing, week after week. For weeks at first, the yellow nightshirt was smudged with a single handprint (where the Kid no doubt wiped his hand once, leaving a mark that lasted for weeks). But then, in May 1896, the handprint was displaced by—words. Soon thereafter, the Yellow Kid was talking to his readers, his saucy speeches imprinted on his nightshirt. By reason of his nightshirt, the Yellow Kid quickly became a star attraction of Hogan’s Alley and of the Sunday World. Who could miss that garish yellow shirt in the midst of the otherwise earth-toned alley? No matter what the disturbance in Hogan’s Alley, its comedy rift with hearty vulgarity, violence and casual cruelty, the Yellow Kid was there, his vaguely Oriental visage baring its two teeth at the reader in a grin at the same time vacuous and knowing—the leering capstone above whatever irreverent commentary was emblazoned on the signal flare of his yellow billboard shirtfront. People bought the Sunday World to find out what mischief the Yellow Kid was up to this week, thereby demonstrating and establishing the commercial value of comics to newspapers by boosting circulation, which, in turn, assured the subsequent maturation of the comic strip form. Despite undeniable popularity of the Yellow Kid, Hogan’s Alley never appeared on the cover of the World’s comics supplement; most of the time, it was on the back cover, the other full-color page in the publication. At first, the feature appeared mostly at a half-page size, but it ran full page on its twentieth appearance on May 24, 1896, a dimension it repeated for most of the rest of its run in the World. So popular was the Yellow Kid that he became the first merchandized comic strip character, appearing on cracker tins, cigarette packs, ladies’ fans, buttons, and a host of other artifacts of the age. Whether Outcault got any money from this ancillary activity is a matter of conjecture. Some say he reaped a fortune; others, myself included, doubt that he enjoyed anything like a windfall income. I say he lost out because he didn’t own the Kid and had no right to merchandising revenue. Mark D. Winchester investigated the matter extensively and reported the results in “Litigation and Early Comic Strips: the Lawsuits of Outcault, Dirks, and Fisher” published in the Ohio State University journal, Inks: Cartoon and Comic Art Studies, Volume 2, Number 2, May 1995. Winchester searched indices, including Lexis and Westlaw databases, for plaintiffs or defendants in cases involving Outcault, Hearst or Pulitzer. He found cases involving those people but none of them were about copyright or ownership of the Yellow Kid. Winchester concludes that no such lawsuit ever existed—despite numerous allegations by comics historians, who, Winchester says, are usually referring to previous assertions, none of which are supported by documentation. In short, the legendary landmark lawsuit that presumably resulted when Outcault took the Yellow Kid to a rival newspaper, Hearst’s, is just that—legendary, a myth. But even if Outcault didn’t own the Yellow Kid, he still might have enjoyed some income from the merchandising of the character. In other words, a newspaper owned the drawings/photographs it published. The World, then, owned the Yellow Kid images that were printed in the paper. But only those images. As we shall soon see, when Outcault joined Hearst’s New York Journal and took the Yellow Kid with him, another artist continued to produce the Kid at the World, and in the ensuing circulation battles, each of the two newspapers used representations of the Kid to seduce people into buying their paper in order to follow the Yellow Kid’s adventures therein. This, presumably, precipitated the lawsuit of legend and myth. Despite claims by comics historians that the suit resulted in a landmark decision, no such decision has ever surfaced with respect to the Yellow Kid. In today’s litigious American society, Winchester notes, “it seems unthinkable that either [newspaper] would let the other freely use the character of the Yellow Kid without the threat of legal action.” But he was unable to find any cases involving the Yellow Kid. There may have been a threat of legal action that resulted in an out-of-court settlement, but Winchester couldn’t find anything about that either. Or maybe the case was settled in a lower court that didn’t publish its opinions. Common practice in those days probably precluded the need for legal action. The World held propriety rights to the specific cartoons it published because every day’s newspapers were registered and copyrighted. The likeness of a cartoon character, however, was not, strictly speaking, protected by this sort of copyrighting. (And since it was the likeness of the Yellow Kid that Outcault sought to copyright with his three applications, no wonder his requests weren’t successful.) Consequently, Outcault or any other artist could draw the Yellow Kid for another publication as long as he didn’t copy the printed (published) copyrighted picture line-for-line. The owner of a copyright—in the Yellow Kid’s case, Pulitzer’s New York World— could license the subsidiary rights for the purpose of commercial exploitation. Persons who wanted to develop ancillary products would apply to the copyright owner—the World. And we may assume that the World would grant such application in exchange for a share in the revenue. And the World might share that revenue with Outcault. So the cartoonist might have enjoyed some increase in income due to the merchandising of the Yellow Kid. But his share probably wasn’t enough to make him a wealthy man. Although it might have. We simply don’t know. As for the “landmark decision” that everyone assumes came about because of the Yellow Kid, something close to it came about with Outcault’s Buster Brown, which we’ll look at when we get to that part of the cartoonist’s career. In any event, the successful merchandising and licensing of the Yellow Kid established the importance of comics in a capitalistic society, which is one of the reasons the Yellow Kid serves as a benchmark in the history of comics. William Randolph Hearst, California newspaper mogul behind the success of the San Francisco Examiner, arrived in New York in mid-1895—but without his middle name. He was known as William (or Will) Hearst until he ran for Congress in 1902, when he began using his middle name in order, doubtless, to project a dignity he associated with national political office. When he won election, the name stuck forever. Hearst had just bought the Morning Journal, an underdeveloped newspaper that had been founded in 1882 by Pulitzer’s brother Albert, who had sold it in 1894. In the ensuing year, the Journal’s circulation had dropped from 135,000 to 30,000 and its reputation (as a “spicy sheet” called the “chambermaids’ delight”) was the worst in New York, saith Ben Procter in his Hearst biography, William Randolph Hearst: The Early Years, 1863-1910. To Hearst, who had coined the expression “The impossible is only a little more difficult than the possible,” the sad little paper was a perfect candidate for purchase: it’s price was low and it had more room for improvement than another other New York paper. An admirer of Pulitzer’s World (which he’d tried successfully to emulate at the Examiner), Hearst immediately set about doing what he’d done in California to make his paper there the lively enterprise that it was. Hearst almost never developed talent: his preferred method was to discern talent at other publications and then hire it away. In New York, he set up a bureau for the Examiner, audaciously taking the eleventh floor of the World building for offices. And then he started reconnoitering the journalistic landscape for likely prospects. He learned that the Sunday World’s circulation had increased from 266,000 in 1893 to 450,000 by the end of 1895. Supposing, correctly, that Goddard’s color Sunday supplement was chiefly responsible for the growth, Hearst started shopping for a color press. Even before the press was installed, he approached Goddard and offered him the job at a substantial salary increase to produce a similar Sunday enterprise at the Journal. In rebuttal, Hearst, “smiling faintly,” reached into his vest pocket, pulled out a crumpled piece of paper, and tossed it across the table to Goddard; it was a Wells Fargo & Company draft for $35,000. Goddard was persuaded but protested that his staff was what made the World’s supplement so successful; so Hearst hired Goddard’s entire Sunday staff. Including Outcault. And the crowd-pleasing Yellow Kid, especially the Yellow Kid. Learning of Goddard’s impending defection, Pulitzer lured him back with a counter offer, but Hearst opened his checkbook again and outbid him. Outcault, however, didn’t leave the World right away: he had to wait until Hearst had his color press operational so his jaundiced juvenile could be deployed on Hearst’s behalf. In the meantime, Outcault probably wrote that application for copyright on the Yellow Kid, anticipating that, in his new situation, he might need to own his creation. That, as we’ve seen, went nowhere. Because Pulitzer’s World could claim the copyrighted Hogan’s Alley title, at the Hearst paper, Outcault’s feature was called McFadden’s Row of Flats. Hearst, perhaps not quite as confident of the Yellow Kid’s appeal as he seemed, hired Edward W. Townsend, author of treacly books about slum children (the most popular, Chimmie Fadden), to accompany Outcault’s cartoon with stories in prose. Hearst clearly assumed that Townsend’s tales and Outcault’s Yellow Kid would be an unbeatable combination. Probably so. But the Townsend’s texts were stand-alone stories betraying no connection with whatever the Yellow Kid and his cohorts were up to on the rest of the page. In contrast to the almost negligent treatment Hogan’s Alley received at the World, at the Journal, McFadden’s Flats was almost always allotted a full page in The American Humorist although it appeared on the cover only twice. There is, however, another testimony to the Yellow Kid’s popularity. A mild, low-key objection to the delivery-truck-poster origin of the term “yellow journalism” rages. For some observers, the link is too tenuous. To resolve the issue, Mark Winchester, on the case again, looked in magazines and newspapers mid- to late-1890s for possible overt connections and reported the results in November 1995 in Inks (Volume 2, Number 3). He was unable to find a definite link between Outcault’s character and the pejorative term, but by the time the United States was on the eve of the Spanish American War in the spring of 1898, the term was in wide use and the connection to the Yellow Kid seemed to be accepted by most people. “But the term did not see widespread usage,” Winchester says, “until the World and the Journal began publishing sensational reactions to the February 15, 1898 sinking of the battleship USS Maine” in Havana’s harbor. In the ensuing weeks, the yellow journals strenuously urged the U.S. to go to war with Spain over the incident, deploying the most sensational and scandalous reportage to create a national furor. Ever since the Cuban insurrection began in March 1895, New York newspapers had vigorously protested the brutal repressive measures Spain employed to put down the rebels (the Journal deliberately enhancing actual facts with lurid reports of fictional atrocities). And the sinking of the Maine brought yellow journalism’s protest to a fever pitch. Both before and after Congress resolved in mid-April to authorize intervention in Cuba, newspapers other than the two yellow journals published editorial cartoons about the situation, using the Yellow Kid, who quickly “became an icon of yellow journalism,” Winchester says—cementing the link between Outcault’s character and yellow journalism. The connection made in the cartoons between the Kid and sensational journalistic practices would not have had the intended rhetorical impact had the reading public not already connected the two during the months of the circulation battles between the World and the Journal that began in the fall of 1896. But Winchester’s argument is scarcely needed. The publication of editorial cartoons about the newspaper coverage of the Cuban situation effectively end any contention: they testify emphatically to the validity of McCardell’s synopsis. At Hearst's Journal in the fall of 1896, Outcault’s duties began expanding immediately. He started doing two Yellow Kid cartoons a week, one large, the other smaller (usually a half-page). The smaller cartoons typically carried the Yellow Kid’s name in a titular headline. The first of these appeared October 25, just a week after The American Humorist was launched. It featured no variation on the mob scene in the full page cartoon; instead, the Yellow Kid appeared by himself five times, each successive drawing adding narrative detail to his encounter with a phonograph. He and the phonograph converse, the Yellow Kid mostly on the front of his nightshirt; the phonograph through its speaker. The cartoon was the first time the Yellow Kid had appeared in sequential drawings, and in his Yellow Kid book, Blackbeard, noting the interdependence of words and pictures, proclaims the cartoon “nothing less than the first definitive comic strip in history.” I agree that it is a comic strip: after all, it fits my definition exactly. For me, comics consist of pictorial narratives or expositions in which words (often lettered into the picture area within speech balloons) usually contribute to the meaning of the pictures and vice versa. Whether the Yellow Kid’s phonograph comic strip is “the first” in history though, I dunno. Comic strips had appeared in numerous other places before this specimen, but most of those had been either pantomime pictorial sequences or had text captions underneath the pictures. Somewhere there is surely a earlier pictorial sequence with words lettered within the picture or in speech balloons. Some as yet undiscovered where. Still, until that where is here, visible among us, we must appreciate Blackbeard’s reputation as a scholar of the medium and must therefore grant him his claim. And we must then add to Outcault’s achievements in comics the production of the first “definitive” comic strip. Most of the subsequent small Yellow Kid cartoons were also strips, the first having established the pattern. In November 1896, Outcault’s duties expanded again. Starting on the 14th (and continuing until May 7, 1897), he contributed a column with Yellow Kid illustrations to the paper’s editorial page. Posing as pages from the Yellow Kid’s diary, the feature appeared often but irregularly, commenting on current cultural or seasonal activities. On January 20, 1897, the diary records the Yellow Kid’s visit to Britain’s Queen Victoria. It was the beginning of the Kid’s fabled 4-month tour of Europe. Hearst sent Outcault and The American Humorist editor, Rudolph Block, on a junket around Europe, hoping the travelogue would boost readership of the paper among the somewhat higher echelons of the New York social classes. Competing with the World, the Journal had courted immigrant readers; now, Hearst was looking for an audience a few rungs up the social ladder. For the next four months (concluding May 30), Around the World with the Yellow Kid displaced McFadden’s Row of Flats as the title of Outcault’s feature, the cartoonist drawing his weekly cartoons and composing diary entrees while on the road and sending them to New York by ship. Townsend’s text was replaced with reports by Block about the sights and doings in the European countries they visited, all written in the slum street lingo spoken by the Yellow Kid and his friends in the cartoon. After a couple installments through February 14 (none alluding to the European trip), the secondary, half-page Yellow Kid disappeared. Upon returning at the end of September to The American Humorist, the Yellow Kid cartoon is never again entitled McFadden’s Flats and the accompanying text is abandoned as is the full-page format. Henceforth, until Richard Olson’s last recorded appearance of this Yellow Kid sequence on January 23, 1898, the title of the half-page cartoon varied, sometimes deploying “Yellow Kid” in a headline; sometimes (beginning November 7, 1897), Ryan’s Arcade. Luks’ Yellow Kid in the World ended a few months before Outcault’s, on December 5. Clearly, the popularity of the Yellow Kid was fading as 1897 came to a close. As demands grew more incessant for the U.S. to intervene on behalf of oppressed Cubans against the occupying Spanish military, the Yellow Kid’s popularity went into steady decline. Reader interest had been diverted to Cuba. But Outcault had found another job. Hearst had expanded into the evening newspaper market in 1896, launching the Evening Journal on September 28. It was part of the growing Hearst empire and had an editorial staff completely separate from the morning Journal. Soon after starting the new paper, Hearst introduced in it a daily page of comics—single and multiple-panel cartons, columns of jokes and short humorous pieces. In early 1898 as the Yellow Kid was slowly taking his last bows, Hearst invited Outcault to be editor of the page. Outcault accepted, and in addition to locating cartoonists and humor writers and selecting which of their works to publish, he contributed many cartoons of his own. Some of his cartoons were set in tenement neighborhoods but the Yellow Kid was never there. But animals were—and African-Americans. Beginning April 8,1898, Outcault moved this ragtag bunch from their birthplace at the World to the Evening Journal; Hearst, it seems, had no objection to this maneuver as long as no World-owned titles (Casey’s Corner, “New Bully”) made the move. For the next two weeks, Huckleberry Volunteers ran conspicuously at the top of the comics page in Hearst’s paper and pioneered yet another comics format. Each daily appearance consisted of a single panel, usually about as crowded a scene as the old Hogan’s Alley, accompanied beneath by verses from a staff writer, Paul West, whose rhymes added little to the meaning of the pictures. Each panel was a link in a continuing story, the next day’s panel taking up where the preceding day’s panel had left off. To Blackbeard, the cartoonist was again pioneering in comics history: “Outcault drew the first daily, narrative, sequentially linked comic strip [panels] in history.” The first “continuity” comic strip. The series lasted only 11 days, ending April 22, the day after President William McKinley ordered a blockade of Cuba. Congress declared war on April 25, but before that, Outcault, like many others, had seen the storm clouds gathering. Before his Huckleberry satire had run many days, he’d probably decided to abandon the mockery once real battlefield hostilities seemed likely to endanger real lives. But on April 16, he brought the Yellow Kid out of retirement to take command of the Volunteers once they land in Cuba. In Outcault’s final comment on the war, May 4, the Yellow Kid is standing by himself, no surroundings or companions, his shirt proclaiming, joyously, “Say, we can all have kassels in Spain soon.” He correctly anticipated a short war: it was officially over August 12, 1898. By the next year, Outcault, presumably still editor of the Evening Journal’s comics page, was freelancing cartoons to several other newspapers. He sold two short-lived features to the Philadelphia Inquirer—The Country School and The Barnyard Club. And for the New York Herald, he created another short-lived comic, Buddy Tucker, a hotel bellhop, and a longer-running series, Pore Lil Mose. The first black title character in comics, observed Don Markstein in his online Toonopedia, the 7-year-old Mose was “a pure stereotype, with big, white eyes and big white teeth grinning out of his dark, fuzzy-topped face, from which a constant stream of grammatical solecisms flowed.” Despite the stereotypical portrayal, Mose was as often a prankster as he was put-upon, but he invariably proved himself courageous and resourceful if still a child. Then on May 4, 1902, Outcault started another cartoon feature in the Herald that would bring him fame and fortune greater than had been generated by the renowned Yellow Kid. Mose ended three months later. The title character in Outcault’s new Buster Brown was a Little Lord Fauntleroy incarnation with shoulder-length curly hair and knee pants, a city kid but not a slum waif. The 12-year-old scion of a well-to-do family, residing, Blackbeard tells us, in Manhattan’s Murray Hill neighborhood, Buster appeared in a full-page comic strip of 10-12 panels. Although not as vulgar and violent as the Kid, Buster, a single child, was nontheless an incorrigible scamp. Every weekly installment involved him in some juvenile mischief and ended with his heartfelt resolution to reform, a moral aspect of the feature that appealed to readers who were parents, some of whom had been muttering darkly about the various misbehaviors being modeled for their children in the Sunday funnies—the Katzenjammer Kids in particular: their tricks on the Captain and the Inspector often looked more like physical assaults than boyish pranks. Apart from his fashion-plate mother (in whom many saw Outcault’s wife, Mary Jane), Buster had only two friends: Mary Jane, his well-behaved sweetheart, and Tige, an American pit-bull terrier with a Cheshire cat grin who frequently winks conspiratorially at the reader. He also talks, usually to us but sometimes to Buster; adults in the strip, however, can’t hear him. Tige is said, by Don Markstein at least, to be the first talking pet in American comics. And he is undoubtedly one of the chief reasons for Buster Brown’s popularity. Due as much to his moral posing as to his shenanigans, Buster became a national fad, and Outcault licensed his name to promote a vast array of products—everything from musical instruments to raisins, from cigars to sheet music, and clothing, stockings, garters, belts and sweaters. And shoes. In 1904, Outcault went to the St. Louis World’s Fair and sold licenses to some 200 companies to use Buster Brown to advertise their products. Despite all this licensing, Outcault didn’t own the copyright to Buster Brown. And this wasn’t the first time he’d sold licenses that he didn’t own: on February 4, 1898 (just two days before the last Yellow Kid in the New York Journal), he and someone named Connor (no first name has ever surfaced) assigned the (nonexistent) copyright for McFadden’s Flats and the Yellow Kid to McLaughlin Brothers (for what purpose, the Copyright Division of the Library of Congress has no record, Winchester tells us). Outcault may not have owned the copyright to Buster Brown, but his experience in circulation war between Hearst and Pulitzer had apparently convinced him that ownership was mostly mind over matter rather than legal documents. Although no evidence of any legal resolution exists to the presumed struggle over ownership, Outcault and Hearst had cautiously changed the name of the feature from Hogan’s Alley to McFadden’s Row of Flats in deference, no doubt, to some unwritten custom of the time. That custom would finally get formal legal standing in Outcault’s next courtroom bout over ownership. Outcault ended Buster Brown in the Herald on December 31, 1905, and two weeks later, launched it again at the Hearst works in the Journal, which was now called American, a name change the explanation of which affords us the opportunity for a fascinating diversion, wandering down one of history’s dimmer back alleys. Six months later, McKinley was shot by Leon Czolgosz, a Polish-American with an anarchist bent; McKinley died eight days later on September 14, 1901. Yellow journalism’s critics, who were legion, quickly concluded that Hearst’s New York papers were complicit in the crime, says David Nasaw in his biogaphy of Hearst, The Chief. Those papers had poisoned the mind of the assassin (ignoring the fact that Czolgosz couldn’t read English), making Hearst an accessory to the crime. His newspapers had “saturated political journalism with bile and violence,” creating “a climate that inflamed the assassin’s mind,” resulting in the killing of the President of the United States. Hearst was thereby accused of committing not only murder but treason. So the Hearst paper to which Outcault brought Buster Brown was the American. But the New York Herald continued publishing the strip, hiring other artists to continue it, and Outcault sued the Herald to get them to stop the imitation Buster Brown. This time, court records exist. And Mark Winchester found them. Henceforth, in his strip for the American, Outcault never used “Buster Brown” in the feature’s title. He used a picture of Buster instead of his name. For instance, in the title “Strange Things Do Happen To,” Buster’s face appears at the end of the sentence. Outcast would continue producing an untitled Buster Brown comic strip for at least another fifteen years—until 1921, according to Don Markstein in Toonopedia—although Outcault had well before then left the strip’s production mostly to assistants so he could concentrate on merchandising his creations, to which end, he founded an advertising agency that operated out of Chicago at 208 South Dearborn Street (to litter this account with yet another precise but happily irrelevant detail). The cartoonist would continue suing to protect his creation. Says Winchester: “The Outcault Advertising Company was successful in prosecuting [more than 30 lawsuits] involving companies’ infringements on Outcault’s copyrighted artwork”—the infringements consisting, I assume, of copying representations of Buster Brown in the newspaper that was copyrighted. In short, Outcault behaved as if he owned Buster Brown even though he legally had only the right to draw the character. And he wasn’t finished with the Yellow Kid either. The Kid shows up in Buster Brown strips twice in 1907 and twice again in 1910. Announcing his first appearance on July 7, 1907, the strip is headlined “The Yellow Kid, He Meets Mary Jane and Tige and [picture of Buster].” It’s “virtually a scenic tour of the Kid’s old neighborhoods,” says Blackbeard in his Yellow Kid tome. And it ends with Buster falling out of bed like Winsor McCay’s Nemo, implying that the events transpiring up to then have all been a dream. In about 1914, Outcault proposed starting the Buster Brown League, an organization for boys as yet too young to join the recently founded (1910) Boy Scouts of America; but the proposal came to nothing. Outcault devoted the last decade of his life to painting, retiring entirely from the newspaper comic strip field, which he was so instrumental in creating. He died September 25, 1928, after an illness of about ten weeks, a New York Times obituary reported. In the normal course of popular culture’s growing amnesia about various random aspects of history, as the Yellow Kid slipped from the pedestal he once occupied as the progenitor of comics, so did Outcault fade from prominence in the history of the medium. But after plowing through the preceding paragraphs, we can have little doubt (can we?) that Outcault belongs in the ranks of the great cartoonists. “To say that the late R.F. Outcault was the inventor of the comic supplement [a generous but erroneous attribution of early comics history] is of course to ignore the social factors that lead up to all inventions. ... But it is due Morrill Goddard ... to say that he saw in the early nineties that the time was ripe for ‘comic art,’ and it is due Mr. Outcault to say that his talent made the most of the opening” (quoted in A History of American Graphic Humor, Vol. 1: 1865-1938  by William Murrell). Whether the evolution of the term “comics” followed precisely or only generally the lines I’ve sketched (the Oxford English Dictionary is not explicit in its etymology), it is certain that a confusing coinage has been in wide circulation for most of the history of the medium. And it is also certain that we call the artform “comics” rather than the less confusing “cartoon strips” or (for comic books) “paginated cartoon strips” because of Goddard’s inspired deployment of the World’s Sunday supplement as an imitation of weekly humor magazines. And in making “the most” of the opening Goddard provided, Outcault’s Yellow Kid demonstrated the value of comics. The circulation battle in which two Yellow Kids competed for readership established irrefutably that comics were a popularly enjoyed feature of newspapers and contributed substantially to their financial well-being. And the merchandising of the Yellow Kid (and, later, Buster Brown) added another dimension to the commercial value of comics. In court cases later, Outcault was probably the first to run up the flag for creator’s rights. He may have also produced the first comic strip in which words and pictures blended for meaning in a narrative sequence of pictures. Whether his first in this regard directly inspired others to do the same thereby establishing the medium’s most distinctive aspect is open to debate. But he indisputably explored further the medium’s potential by linking from day to day separate comic strip panels to create a continuing weeks-long story. Outcault may not be the father of American comics: success, as the wag saith, has many fathers, and the eventual emergence of the artform in all its manifestations clearly proclaims success. But it was the popularity of Outcault’s principle creations that made the rest possible, so Outcault’s comedic genius—his understanding of his audience as well as his artistic skills—seems as indisputable as his pioneering achievements. Outcault was the medium’s first pioneer, and in that alone—quite apart from the quality of his cartooning— he deserves his ranking among the greats. The chief source of information about Outcault and the Yellow Kid is R.F. Outcault’s the Yellow Kid: A Centennial Celebration of th Kid Who Started the Comics, edited and introduced by Bill Blackbeard (1995). Some details of Outcault’s life are rehearsed in the Dictionary of American Biography and in several of the standard histories of the comics, chiefly Ron Goulart’s Encyclopedia of American Comics from 1897 to the Present, and Brian Walker’s The Comics: The Complete Collection (2004); and in “The Yellow Kid and Buster Brown” by Gordon Campbell in Cartoonist Profiles, No.51 (September 1981). Outcault’s obituary appears in the New York Times, September 26, 1928. Other general journalistic references include The Chief: The Life of William Randolph Hearst by David Nasaw (2000), William Randolph Hearst: The Early Years, 1863-1910 by Ben Procter (1998), Hearst: An American Phenomenon, John K. Winkler (1955), A History of American Graphic Humor, Vol. 1: 1865-1938 by William Murrell, and Life of Pulitzer by Denis Brian (2001). The Yellow Kid gave his name to a magazine that published 15 issues in the late 1890s; original art for several covers is archived at the Bird Library of Syracuse University, but only one of the pictures was ever published as the magazine’s cover. Buster Brown inspired minor theatrical productions, an early short film, and several books reprinting the strip or based upon it: Buster, Mary Jane and Tige (1908), Buster Brown, the Busy Body (1909), Real Buster and the Only Mary Jane (1909), Buster Brown in Foreign Lands (1912), Buster Brown—the Fun Maker (1912), Buster Brown and His Pets (1913) and Buster Brown’s Resolutions and Buster Brown’s Pranks (both, n.d.). By the looks of things, it’s the German scene which germinated (and even sprouted) comic strips as a popular method. Obviously there were earlier comic strips, but if sustained commercial viability is important to a given history of the form, that viability is something which German cartoonists tested and fed into while the rest of the world (apart from those with enough of a connection to Germany, who would become significant vectors of transmission) still thought of the method as a hackneyed gimmick. 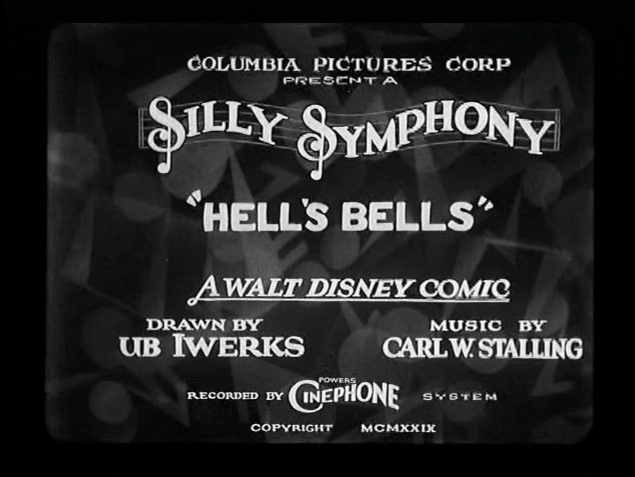 On terminology: In the 1920s & 30s, animated cartoons were referred to as comics, not just on the street but on the title cards of the films themselves. It seems like, in those days, the word had become associated with a style of, or approach to, drawing. Even adventure comics are seen to be drawn comically when taken in context with the art of drawing more generally. Exeptions like Hal Foster exist, who draw more like illustrators, and by comparison we can see how comical most other comic artists’ work looks..
Wittgenstein’s take on linguistics applies, I guess: familial relation / proximity rather than essentialist identity. Satisfyingly plump with elucidating detail, as per usual. 1830. A distinct narrative, told in pictures with integrated text. Scene-to-scene transitions. These strips were supposedly a commonplace in The Looking Glass (London version) and the Glasgow Looking Glass which preceded its English iteration by a few years. 1797. A sequence of pictures and integrated text which has the same figures in each (not the only type of transition, but perhaps the easiest to think of as cartoony). Very minimal captions (whose meanings are thoroughly dependent on the images and are there as a safety-net rather than being structural). A bit closer to the beaten track, being German (and quite famous worldwide): Busch? 1865. Narratives of actions pictorially presented. No text required. Thanks, Briany—I knew there had to be something somewhere. Now I know what and where. “Comics” was obviously used with animated cartoons, but the origin of the term—applying to a particular manner of drawing and so forth—is still with weekly comic magazines, called, often, “comics,” as I have said. Sure, I just find it mildly interesting how a term which means something quite general – a broad field of very closely related things – becomes, over time, more and more specific in what it refers to, to the extent that almost identical artifacts can fall either side of an ephemeral boundary of meaning. 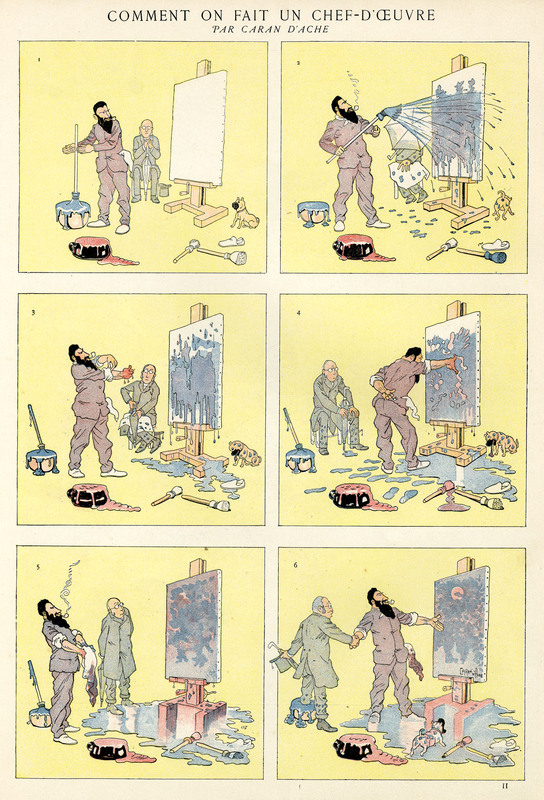 Wilhelm Busch in Germany and Caran D’Ache in France were doing an early form of comic strip before anyone in the US. I agree that Andy Bleck’s Konky Kru website is the best source for all this early material and more. Caran D’Ache in particular seems to have started quite a fashion in “silent” comic strips in France IIRC from the early 1880s. No captions under or within the panels, and no word balloons. Caran D’Ache may have been influenced initially by the photo-sequences of Muybridge in Britain. I showed some colour strips from the later 1880s on my blog a while back. These were not previously widely seen. “Silent” strips—no verbiage in the panels, no captions, no speech balloons—that takes us ‘way back. Pantomime strips have been around a loooooooong time. Perhaps as long as men/women drew on cave walls. So we don’t learn much by going that far back. Lots of people like to do that, though—and call the things they find “comics” or prototypes. But without words within the drawing—nope, not “comics” or cartoon strips or whatever we call them these days. Moebius’ Arzach and Woodring’s Frank immediately spring to mind. They have no words but it would be wrong to say they aren’t comics. The key thing is, what else is there to call them? If there is no better term, then ‘comics’ it must be. They are ‘not “comics” or cartoon strips or whatever we call them these days’? I don’t buy that and nor do most comics commentators as far as I know. Nor do I accept that pantomime strips go back all that far. Not in the form of narratives printed on paper in periodicals. To suggest that they go back to the days of images made on cave walls is ludicrous. Perhaps you are trying to be amusing. The arrival of regular use of word balloons as part of the form is certainly hugely important. It brings the comics form into a new and vital phase, I agree. Outcault didn’t do this very regularly at all. It seems to have become a regular, standardised part of the Sundays in the early days of Dirks, Swinnerton and Opper in New York. And it was probably Dirks who really started regular balloonage, wasn’t it? Evidence seems scanty on this point. This is a link to a Caran D’Ache one-pager from the late 1880s. Seriously, is that not a comic strip? That is, given that the item for which we seek a signifier bears a strong resemblance to things that are referred to as ‘comics’. Take a borderline case, show it to a cross-section of English-speakers, then ask them what the noun is that identifies such things. PS: Cooks and botanists disagree about what things can be referred to by the word ‘nut’. Comics is a subset of a larger category, visual (or pictorial) narrative. Guy Lawley’s D’Ache is one of that larger groups. There are other subsets of picture narratives—Stations of the Cross anyone? Comics are distinguished from other visual narratives by the usual inclusion within the pictures of words in speech balloons. The blending of word and picture, neither of which makes the same sense without the other, is the distinguishing feature of comics. Trouble with that definition is it’s so exclusive it rules out canonical works that everyone calls ‘comics’. It’s akin to Blackbeard’s insistence that true comics always have recurring characters, which inconveniently excludes almost all of the EC New Trend comics, for instance. Baby with the bathwater. I suggest that several different new words be used for all the close relatives of ‘comics’. By close relative, I mean a thing which is nearer to being a thing sensibly referred to as a ‘comic’ than it is to being anything else. Due to the fact of these other types of work also generally being referred to as ‘comics’, I suggest that this new group of nouns all be homonyms of one another. bulletin 15 (Washington, D.G. : Library of Congress, 1980), pp. 3187-88. As for Buster Brown the key point in that case was that Outcault had retained all other rights to Buster Brown in an agreement with the Herald of October 1, 1902. 146 Federal Reporter 1023, for the Circuit Court of Appeals decision upholding the lower court verdict. Outcault et al. v. Lamar, 119 New York Supplement 930. Outcault et al. v. Bonheur, 104 New York Supplement 1099. Mark’s article lists the various cases and citations for Dirks and Fisher. Mark’s article predated the publication of my book (but not my 1993 PhD dissertation). Mark and I had a friendly email exchange about these cases some twenty years ago. Unfortunately Mark died May 15, 2013. Prince Valiant is a pictorial narrative, then? I’d rather consider that the speech balloon is a technical innovation within comics, like speed lines, frames rather than the defining feature. When I look at A.B. Frost (who was influenced by Muybridge) I see comics whether it’s silent or the text in within or without the frame. Mr. Harvey says “Comics is a subset of a larger category, visual (or pictorial) narrative. Guy Lawley’s D’Ache is one of that larger groups. There are other subsets of picture narratives—Stations of the Cross anyone? ” Agreed. I’m startled by how often I mention this specific connection/subset—the stations of the cross— to non-comics people and they usually have an “aha” moment. Bayeux Tapestry, Stations of the Cross. They don’t ‘read’. They’re not even meant to, at least not in the way a typical comic is. As comics, they are ineloquent to a radical degree. The Stations of the Cross is dependent on an external text to make any sense. The images are illustrations which accompany (internalised) scripture and are an auxiliary part of a performed ritual. Ask a thousand randomly selected, unprepared people what that D’ache piece is. I’ll give you a nickel for every one who’s first answer is “A pictorial narrative” and you just give me a penny for each who confirms that it’s a comic. * All those silent ‘Nancy’ strips, for example – do they represent occasions when Bushmiller took a break from doing comics and produced some other kind of pictorial narrative instead? Glad you mentioned Soglow, Briany. Besides all that, I’m pleased to see Morrill Goddard given his rightful dues. Thanks for that, and your article as a whole, Mr Harvey. John Adock and others have done so before, but Goddard’s role in the origins of the comics needs to be retold from time to time. He shouldn’t fade into obscurity among comics aficionados. And the man who built the first four-colour rotary press for newsprint, in Paris, in 1890, for his Le Petit Journal – Hippolyte Marinoni. As credited by the Chicago Inter Ocean as their inspiration. The Inter Ocean tried to buy a Marinoni Press, but were blocked by some US patent issue, and built a copy instead. As I learned from John Adcock’s blog a while back. Dunno if this’ll fit here, but here goes: Words are clearly an integral part of what we think of when we think of comics. Words as well as pictures. Definitions that depend chiefly upon a sequence of pictures are simply too broad to be useful as anything except as springboard to discussion. Guided by these definitions, as I said before, we wind up at the Bayeaux Tapestry and Mexican codices. Both are comics. So is written Chinese. So are the Stations of the Cross as depicted in the stained glass windows of medieval cathedrals. These definitions include what we call comics just as “quadruped” includes horses. But dogs are not exactly horses even though dogs also have four feet. A more accurate definition of each contains other distinguishing characteristics that make it possible for us to tell a dog from a horse. Clearly, when we think about “comics,” an image of the Bayeaux Tapestry is not the first that leaps up before the mind’s eye, and our definition should acknowledge this commonplace quirk. But we can begin with that tattered Tapestry anyhow. There are stories, narratives. There are verbal narratives (epic poems, novels), and there are static pictorial narratives (Egyptian tomb paintings, the Bayeaux Tapestry). In my view, comics are a sub-set of static pictorial narrative; therefore, all comics are pictorial narratives, but not all pictorial narratives are comics. Horses are quadrupeds, and dogs are quadrupeds, but horses are not dogs, and dogs are not horses. There are different kinds of quadrupeds, and there are different kinds of pictorial narratives. Egyptian tomb paintings are a species of pictorial narrative, but they aren’t comics. It seems to me that the essential characteristic of comics—the thing that distinguishes it from other kinds of pictorial narratives—is the incorporation of verbal content. I even go so far as to say that in the best examples of the art form, words and pictures blend to achieve a meaning that neither conveys alone without the other. To McCloud and Groensteen and many others, “sequence” is at the heart of the functioning of comics; to me, “blending” verbal and visual content is. McCloud’s definition relies too heavily upon the pictorial character of comics and not enough upon the verbal ingredient. Comics uniquely blend the two. No other form of static visual narrative does this. McCloud includes verbal content (which he allows is a kind of imagery), but it’s the succession of pictorial images that is at the operative core of his definition. I hasten to note, however, that regardless of emphasis, neither sequence nor blending inherently excludes the other. Verbal-visual blending as a description of comics has been around since Rodolphe Topffer, the 19th century Swiss school teacher, first enunciated it in June 1837. Dubbed the “father of the comic strip” by many, including Kunzle, who used the expression as the title of his critical study of Topffer’s oeuvre and who quotes Topffer commenting upon his pictorial narratives: “The drawings, without their text, would have only a vague meaning; the text, without the drawings, would have no meaning at all. The combination makes up a kind of novel, all the more unique in that it is no more like a novel than it is like anything else” (60). Exactly. Topffer’s comics could include even the humble single-panel gag cartoon in which, usually, the humor of the picture is secured, or revealed, by the caption below—and vice versa. The gag cartoon falls outside McCloud’s definition because it is not a sequence of pictures. In fact, gag cartoons fall outside most definitions of comics. But not outside my description (“description” rather than “definition” because something that is defined seems completed, and I think comics are still evolving). The gag cartoon is the haiku of cartooning: a delicately succinct balance of words and picture, nearly every gag cartoon is the distilled essence of the visual-verbal blending that is at the heart of cartoon artistry. The picture is a puzzle, and the words unlock its meaning; and the picture gives new meaning to the words. It was Stephen Becker, who, in his Comic Art in America, started my thinking about the ways words and pictures work together in comics. Becker observed that in comics neither words nor pictures “were satisfactory without the other” (13). They are mutually dependent. In my view, evolved from Becker, comics consist of pictorial narratives or expositions in which words (often lettered into the picture area within speech balloons) usually contribute to the meaning of the pictures and vice versa. A pictorial narrative uses a sequence of juxtaposed pictures (i.e., a “strip” of pictures); pictorial exposition may do the same—or may not be sequential (as in single-panel cartoons—political cartoons as well as gag cartoons). My description is not a leak-proof formulation. It conveniently excludes some non-comics artifacts that other descriptions include (a rebus, for instance); but it probably permits the inclusion of other non-comics. Comics, after all, are sometimes four-footed and sometimes two-footed and sometimes fly and sometimes don’t. The presence of verbiage in the same view or field of vision as the pictures gives immediacy to the combination, breathing the illusion of life into the medium. In a letter to me, Richard Kyle wrote about “illustories” and “picto-fiction,” terms flung about by Charles Biro and EC Comics. “Biro and the others apparently did not think about the fundamental nature of comics or understand some of the characteristics of our language. Comics are not ‘illustories’— ‘illustrated stories.’ In comics, ideation, pictures, sound (including speech and sound effects), and indicators (such as motion lines and impact bursts) are all portrayed graphically in a single unified whole. Graphics do not ‘illustrate’ the story; they are the story. . . . In the graphic story, all the universe and all the senses are portrayed graphically” [i.e., in the static visual mode]. Kyle’s point, and mine (although he makes it better than I have), is that in comics everything is portrayed and conveyed in the same manner, pictorially. And the concurrent presence in the visual mode of speech as well as action, locale, etc., makes comics what they are, a unique kind of pictorial narrative. In fact, this concurrence, if not interdependence, may actually define the medium. The importance to me of the verbal content in determining whether a static pictorial narrative (or exposition) is comics may be best illustrated by a discussion of comic strips rather than comic books or gag cartoons. Comic books are too long for brief illustrative purposes, and gag cartoons generally lack an ingredient common to both comic books and comic strips—speech balloons. The technical hallmarks of comic strip art—the things that distinguish it—consist chiefly of narrative breakdown and speech balloons. Narrative breakdown is integral to sequencing images and is therefore peculiar to the comic strip branch of the cartooning family tree and to pictorial narrative in general. But in speech balloons, we have something that is unique to the comics medium. Speech balloons breathe into comics their peculiar life. In all other graphic representations—in all other pictorial narratives—characters are doomed to wordless posturing and pantomime. In comics, they speak. And they speak in the same mode as they appear—the visual not the audio mode of representation. This is unique. If speech balloons give comics their life, then breaking the narrative into successive images gives that life duration, an existence beyond a moment. Narrative breakdown is to comics what time is to life. In fact, “timing”—pace as well as duration—is the second of the vital ingredients of comics. “Vital” but not, here, “unique.” The sequential arrangement of panels cannot help but create time in some general way, but skillful manipulation of the sequencing can control time and use it to dramatic advantage. My description seems to exclude Alex Raymond’s Flash Gordon and Harold Foster’s Prince Valiant, iconic masterpieces that have served in such confabulations as this to elevate the status of newspaper cartooning to an authentic Art form. Ditto the somewhat less iconic Tarzan by Burne Hogarth and Lance by Warren Tufts. These works consist of sequences of pictures with text underneath telling a story. They are, perforce, illustrated narratives but not comics. But the physical relationship of pictures to words in Prince Valiant is the same as in the venerable gag cartoon, and the words undoubtedly amplify the narrative import of the picture under which they appear, and vice versa. The words don’t explain the pictures as they do in a gag cartoon: they are not the key to a puzzle that the picture represents as captions are to the picture in a good gag cartoon. The relationship between pictures and words in Prince Valiant or Flash Gordon seems tangential rather than integral. In most instances of these works of Raymond, Foster, Hogarth and Tufts, the narrative, the story, is carried almost entirely in the text. We can understand the story without considering the pictures. Well, yes, but—but the pictures in Prince Valiant undeniably create the palpable ambiance of the story; they give it sweep and grandeur. And without the heroic elegance of its pictures, Flash Gordon is a shallow, sentimental saga. The pictures supply visual information that fleshes out the narrative text. And the text gives nuance to the pictures. The words and the pictures may not blend, precisely, to create a meaning neither conveys alone without the other, but their interrelationship is intimate and complementary. Within the category of pictorial narrative, Prince Valiant and Flash Gordon and Tarzan and Lance are therefore closer to being comics than they are to being, say, illustrated children’s books. Written Chinese as a “sequence of pictures”? Fenollosa? There are too many comics/comic books/comic strip/manga/BD/etc without words and speech balloons to make your definition useful. Words may give a comic added “life” (or not), but a dead comic is still a comic. You are mixing up a definition of the medium with a description of quality in the medium. In Japan after the war, I would say the major thrust of new types of comics storytelling was towards “pure visual storytelling based on panel breakdowns.” Artists like Tatsumi Yoshihiro was very clearly “anti-word.” Many artists of his generation looked at American comics and said “too wordy.” Not “poorly blended,” but “the word is extraneous to what we are trying to do, to what comics really are.” One might make an argument for wordless comics on the basis of the idea of “wordlessness” — that they are playing with lack, compensating through pantomime or other means. At the center of comics is the talking and acting human being, hence verbalizing, action, and progress over time become central. So the “linguistic” and “narrative” will always be at the heart of comics, even when they abstracted. But upholding “blending” as a necessary prerequisite seems hopeless, unless you want to make an argument that a wordless comic blends the image and the-word-that-is-there-by-not-being-there. What do you do with Abstract Comics: are they bad comics to you, or non-comics? The main reason the Bayeaux Tapestry is not a comic is because there was no idea of “comics” in the Middle Ages. It’s like calling old icons “art.” Comics is a modern idea, and it’s use cannot simply be expanded by boiling it down to a handful of formal features then grazing history for everything that roughly fits that definition. This applies also the present. Some painters today use panel breakdowns and speech balloons, but I would say they use “the language of comics” not that they are making comics. Likewise, Dash Shaw paints his comics pages (I think). Does that make him a painter? The medium is a package beyond its formal traits. And the great thing about comics and what has kept it alive and relevant is precisely its refusal to get packed away into these dry and reductive formalist capsules. It is an inter-media medium and has always been. It’s not the differences between them that cause us to recognise either a horse or a dog – It’s the apparent similarities between a horse and other horses, a dog and other dogs. The Yellow Kid actually appeared in an Outcault “Rushville” cartoon on July 11, 1987, which means there’s actually no continued four-month absence. And September 25 should be the 26th, unless the Kid also appeared somewhere in the Saturday edition. Are there any pictures or drawings of Morrill Goddard? If so, I’d like a copy.